ActivePresenter 7 New Features and Enhancements for Screencasting and Video Editing - Atomi Systems, Inc. Welcome back to the series of introducing ActivePresenter 7 new features and enhancements. In the previous article, we’ve known the significant changes in the User Interface, making ActivePresenter more intuitive to work with. This article will walk you through some additions and enhancements in the new release, which make ActivePresenter become even a more powerful screen recording and video editing tool. It will surely bring your screencasts and videos to the next level. 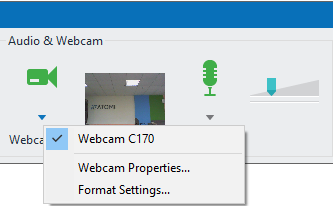 Webcam recording is coming to hand in ActivePresenter 7. You will be able to record screen and webcam video simultaneously, which is common in practice. The result you get is a slide that displays the captured video with the webcam video placed at the bottom-right corner of it. This is a handy feature for creating how-to videos or interactive eLearning contents with visible instruction required. That said, whenever you find it hard to explain an idea or concept, especially to those who are far from you, use a screencast with a webcam video recording yourself or anything under the world to make it work. All can be done in ActivePresenter 7. Green Screen effect (Chroma keying) makes the new release of ActivePresenter become even a stronger and more powerful video editing tool. This is a technique for compositing two videos by keying out a color from a video, then replace that color with another video. So, users can use ActivePresenter to blend a video with another layer of video easily. Green Screen effect in ActivePresenter 7 comes in handy especially when you want to show a small video of a person above another tutorial or explainer video. It’s not just helping in creating screencasts and educational contents. With the Green Screen effect, ActivePresenter 7 will be an ideal tool for editing your private or entertainment videos. How’s that? It’s so sweet when you can, by yourself, easily blend a video of your team with another beautiful scenery video, making it look like you are standing on a beautiful landscape. ActivePresenter 7 will come with three more advanced audio features: Audio Fade In, Audio Fade Out, and Audio Noise Reduction. They are all accessible from the Timeline pane, letting you utilize them quickly and painlessly. With these new features, you are allowed to improve the audio quality (both inserted audio and recorded audio files). Audio Fade In and Audio Fade Out effect smooth the beginning and ending of an audio track. They avoid you from ending up with sudden start or end that can be rough on the ears. Besides, Audio Noise Reduction function reduces the background noise when recording microphone such as tape hiss, electric fans, or hums. It helps especially when you have to record a project in a working space where has some inevitable noise, with audio quality maintenance. One of the worthy additions in ActivePresenter 7 is the availability of the Recording Toolbar, containing information and necessary tools for the recording. 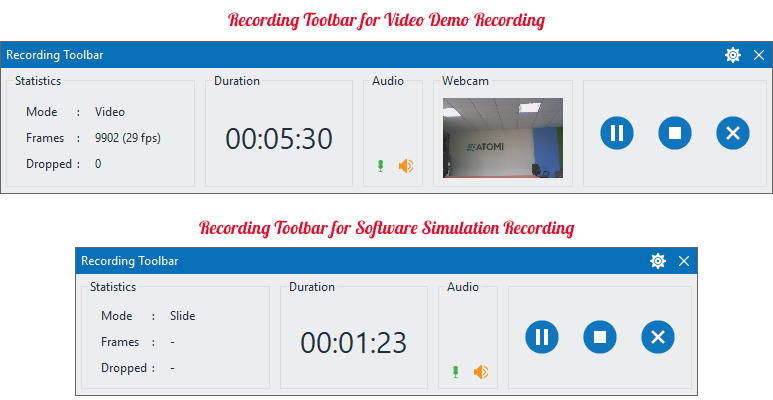 Along with providing two different Record New Project dialog boxes for recording video demos and software simulations separately, ActivePresenter 7 also has two different Recording Toolbars for those two purposes. Mode: The current recording project mode (Video/Slide). 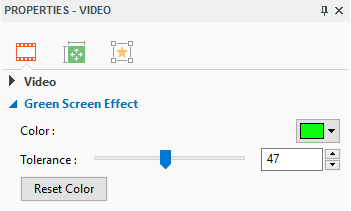 Whenever you scroll the mouse or take a drag-n-drop action, ActivePresenter will automatically switch to the Full Motion Recording mode (Video) to capture screen. Otherwise, it will switch back to previous capture mode (Slide). Frames: The current frame number of the recording project. Dropped: The number of missed frames of the recorded video. Also, the project duration and audio level are visible in the Toolbar. It lets you know in advance some properties of the recorded project. More conveniently, you can stop, pause/resume, and discard the recording from here. In the up-coming article of the introducing ActivePresenter 7 new features and enhancements series, we will introduce a lot of additions for eLearning authoring. So, if you need a strong and powerful tool to create eLearning contents, visit our blog to keep the ActivePresenter 7 news up to date.